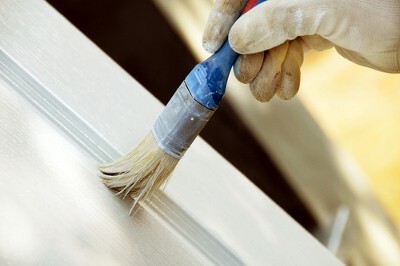 Residential and commercial paint experts at your disposal! White Horse Painting was founded by long-time Texas residents with a passion for helping neighbors. We love the historic, family-friendly neighborhoods in Granbury and enjoy a good Saturday walking around the shops at the Square! Let us help you make your Granbury home or business the best it can be. Home is where the heart is. That’s why we believe that every home should be beautiful. Sometimes all you need to turn a humble house into your dream home is the right paint color. Our Granbury painting service offers consultations to help you choose the perfect color for your home. We can paint both the exterior and the interior of your house. Let us know what you need, and we will make it happen. Have you ever been in a shop or office building that just makes you feel sad? We have too. A workplace should be cheery and inviting. Paint can make all the difference! Call White Horse Painting about our commercial painting services in Granbury. Have you ever been in an office building that makes you feel sad or drab? We have too. A workplace should be cheery and inviting not sad and drab. A splash of paint can be the difference! Call White Horse Painting about our commercial painting services in Granbury. Does your Granbury home just need some minor painting? Maybe just the trim needs a touch-up. We can do that too. No project is too big or too small for White Horse Painting!